The Timeline is Facebook’s latest main feature. It has been met with both criticism and much acclaim. Whatever your opinions are of it however it is here to stay. 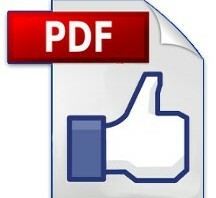 In this article I am going to teach you how you can put PDF Files onto your Facebook Timeline enabling to share documents with your friends. 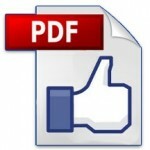 Continue reading How to Publish a PDF File on Facebook Timeline? Posted on June 27, 2012 December 12, 2012 Author Multilizer | IinaCategories Best PracticesTags Facebook, PDF5 Comments on How to Publish a PDF File on Facebook Timeline? Facebook Translate is the translation feature for Facebook to help users communicate with each other in different languages. 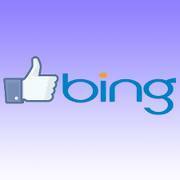 In a bid to match the translation facility of Google that gives users the option of translating the sites they visit into 50 different languages, Facebook has followed suit and launched the Facebook Translate button with the help of their search partners at Microsoft Bing. This all new translation feature gives the user the option of quickly translating comments or content on its pages utilizing Bing Translate. Before Facebook launched this service, its users relied on other services such as Google Translate to help them understand what other users who speak other languages are saying. However the launch of the new Facebook translation button means that users no longer have to rely on using other systems such as Google Translate, and they will be able to translate text on a page simply by pressing the Facebook Translate button which is conveniently placed right next to the ‘like’ button. What they will find when they have clicked on the translate button, in its place will appear an ‘Original’ button that will give the user the option of switching back to the original language. The languages it supports at this time are Korean, Japanese, Russian, Taiwanese, English, and Chinese. If you want to activate Facebook Translate you will need to take the following steps. Go to the edit page interface and from there select the ‘your settings’ tab. From there select the ‘translations from’ section where users can enable translations by the following selections; machine and community; machine, community, and admin, or they can disable the feature. Admins of pages will also be able to see a ‘manage translations’ link under their page posts and they can then delete or approve community-submitted translations or even add their own comments. They can also block content that they object to or even spam as a translation and quickly block them from their Page and from submitting translations to other Pages as well. This is in addition to the language targeting and geographic tool that Facebook offers in the Page post publisher which gives Pages the opportunity to translate their updates annually and then put them out to the corresponding hoard of fans. There are now also third-party Facebook Page tools that also offer translation services to help manage this process and are very helpful, but even these are now redundant now all Pages have access to a free, easy, and instantaneous translation tool. 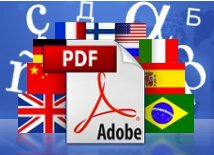 Multilizer PDF Translator translates PDF documents for you automatically with just a few clicks. Download Free version here.